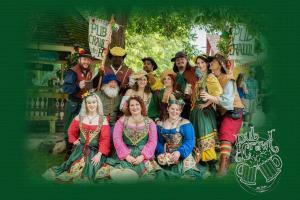 Play the best beer game this side of 1599 at Bristol’s legendary Pub Crawl. 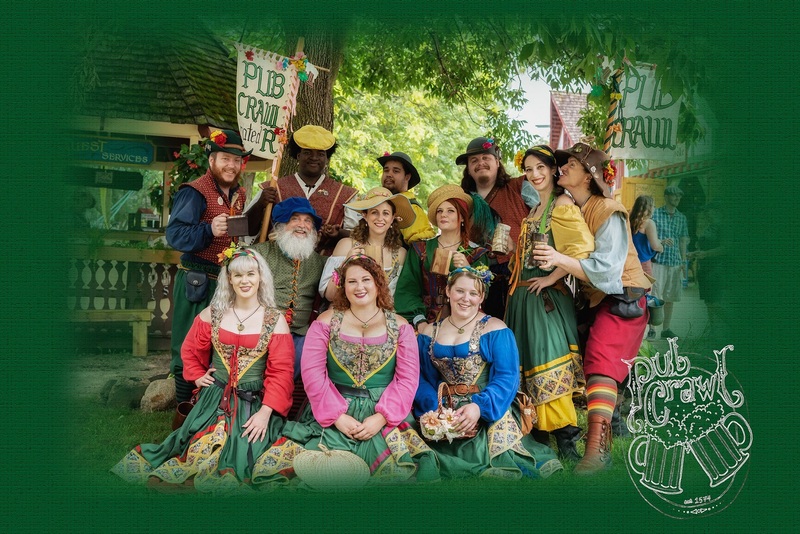 Join the loud and lusty pub crawl crew, skip long lines as they personally amuse you along the village streets to several fine taverns and public houses. Try not to spill as you jiggle with merriment at the most bodacious songs, jests, jokes, stories and riddles the shire has to offer. Travel with your own bartender, for immediate service, and choose from more than 20 beers on tap or a delicious mead as you go. We also offer a gluten free cider. FOUR alcoholic drinks are included in the Pub Crawl – one at each pub. The Pub Crawl departs at 11 a.m., 12 p.m., 1:30 p.m. and 2:30 p.m. on Saturdays. The Pub Crawl departs at 12 p.m., 1:30 p.m. and 2:30 p.m. on Sundays. Every Pub Crawl costs $45 to party with us. Half the tickets for each crawl are available online, the other half are available for purchase on the day of the crawl on a first-come basis. Pub Crawl tickets purchased online must be redeemed at Guest Services between 10 a.m. – 12 noon, or the red RenQuest vardo between 12:30 p.m. – 2:30 p.m. to receive your wristband. You MUST check in 30 minutes before your scheduled Pub Crawl to receive your wristband. No wristband means no Pub Crawl. If you are late, you will not receive all 4 drinks. No refunds. You may only Crawl once per day! Must be 21 to participate (IDs will be checked for everyone). Children are not permitted on the Pub Crawl. Please drink responsibly, we like return customers!